Throughout all of your research and probing of people who have been through the process before we are sure that none of them ever told you that the process would be short and easy. With the multitude of forms, processes, restrictions and buzzwords to keep your eye out for it can be plain hard to know what you’re doing and when. One of the less popular words you may have heard through your information gathering is ‘lien’. Whilst it can be considered one of the most important words when it comes to securing a home or property, many people aren’t provided with much information about what a lien is, let alone the importance of it and the power it can have over your soon to be dream property. If you’re a savvy homebuyer looking to get more detailed information about the home buying process and how you can protect your future ownership of any property you are considering buying, Schutt Law - Title Insurance Agency has prepared some information on liens, the power they have over your ownership and how to protect yourself against them. For this article, we are going to start with the one that has the potential for the most impact in your home ownership. That impact being immediate and indisputable foreclosure. If you’re lucky enough to never have received a tax bill then we will start with how it works, in a very general sense. When a tax debt is raised with the IRS, if the amount is greater than the person is able to pay they may enter into a payment arrangement with the IRS directly. Should the amount be considered large, or the IRS do not feel secure that payments will be made, they can request a form of security to be placed against the debt owed. 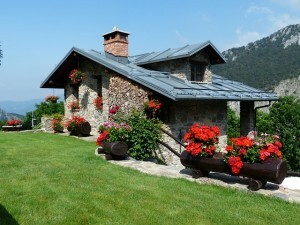 In the case of a lien, that security is the title to the debtor's home or property. When this occurs, an official record is listed against the title. Should the payments stop and the IRS remain dissatisfied that they will receive their owned funds, they can and will move for immediate recovery of the debt. The recovery comes in the form of a foreclosure, whereas despite you transferring the title to yourself including full payment of the property, the IRS are able to foreclose and sell the property with minimal notice for the purpose of debt recovery. Liens are at the top of the list for items that are protected under a comprehensive level of title insurance in Fort Myers. With a reliable title search performed by a reputable agent like Schutt Law - Title Insurance Agency, these liens are discovered prior to any settlement, giving you the opportunity to address this with the current owner before you hand over your cheque. Should a lien not be disclosed and is later raised against you, financial protection and reimbursement are provided to you under the coverage of title insurance in Fort Myers. If either a thorough search or title insurance in Fort Myers sounds like something you are interested in, speak with Schutt Law - Title Insurance Agency at 239.540.7007 and inquire about how a simple upfront payment can protect you from liens on your future property. One of the lesser known types of liens, however, one that Schutt Law - Title Insurance Agency are well versed in discovering are mechanic's liens. These liens are placed on titles where a builder has completed work on the property, however, has not received full payment. This is often the case where a property has been renovated prior to sale for the purpose of enticing new buyers. Once the sale is complete the previous owner has little interest in the property of how it looks and can often cease to make any agreed payment towards the builder. The reason this isn’t placed above the IRS lien is because in these instances it’s often more expensive for the builder to raise a claim and arrange the sale. In these instances, the builder, now a creditor, will wait for the next organic transfer of the title by way of sale. This means that your property immediately becomes less appealing to any savvy buyers who are looking to purchase a home. Alongside this, any funds that you receive from the sale are directed towards the owed debt first. Protecting yourself against these types of events isn't’ as difficult as you may think, however, it does require a professional service who knows what they’re doing and where to look. Alongside this, a reputable service such as Schutt Law - Title Insurance Agency available at 239.540.7007 is able to provide competitive title insurance rates in Fort Myers where, for a one time fee, financial protection can be afforded to yourself in the event an undiscovered claim to your new home’s title is raised.